If you like this free game, try Rory's Restaurant Deluxe. In Rory's Restaurant Origins, we return to Rory's trainee days. Help Rory in her culinary school as she excels in her cooking class in this good mix of Hidden Object & Match 3 games. Solve different interesting puzzles in the mini-games as you help Rory with her tasks. 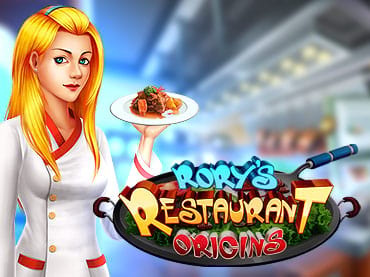 - Rory's Restaurant Origins is a free full version game to download and play. If you have questions about Rory's Restaurant Origins game, please contact us using this form.